I always hated this, 'all Williams' final. Which seems to be happening quite frequently, lately. Serena playing Venus, whom to support? or rather whom you hate less. I hate both of them because of their sheer power game, and my love for under docs. In semifinal, Elena Dementieva almost won herself a spot for the finals, do not know why she was constantly playing lose at crucial points. Mr. Serena Williams, rather Miss Serena Williams, who looks invincible (and also a wwe wrestler), many a times in the match looked like an elephant on knees to a lioness. 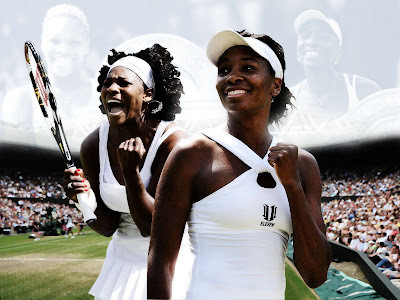 I hate Venus less, so wish that Venus wins the finals! !